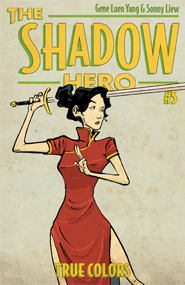 GENE LUEN YANG'S first book with First Second, American Born Chinese, is now in print in over ten languages and was a National Book Award finalist and winner of the Printz Award. Yang's other works include the popular comics adaptation of Avatar: The Last Airbender, and the New York Times Best-Selling graphic novel diptych Boxers & Saints. 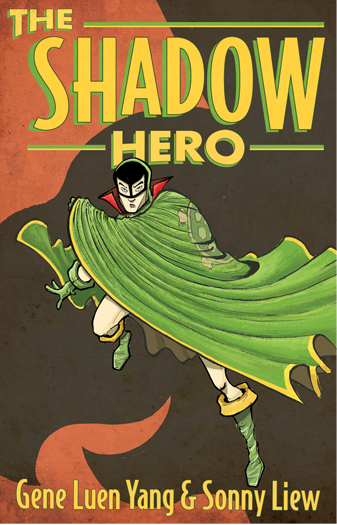 The Shadow Hero, the story of the first Asian-American superhero is his most recent graphic novel. 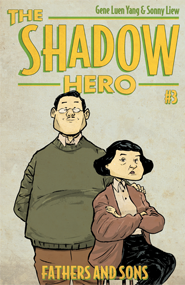 SONNY LIEW is a Malaysian-born comic artist and illustrator based in Singapore. He is best known for his work on Vertigo's My Faith in Frankie together with Mike Carey and Marc Hempel, and Marvel's adaptation of Sense and Sensibility. 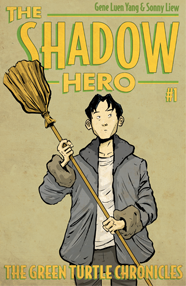 The Shadow Hero, a graphic novel written by Gene Luen Yang, is his most recent work. In the comics boom of the 1940s, a legend was born: the Green Turtle. 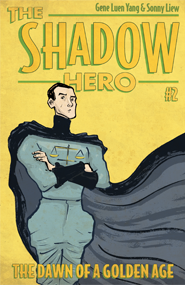 But this mysterious masked crusader was hiding something more than your run-of-the-mill secret identity . . . The Green Turtle was the first Asian American superhero. 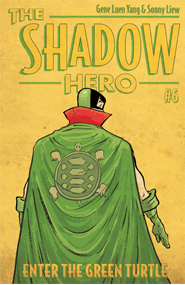 The original Green Turtle comic only had a short run, but now Gene Luen Yang has revived the character, creating an origin story for a forgotten hero. 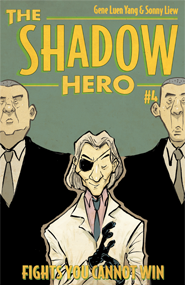 Watch for the complete The Shadow Hero graphic novel in July 2014!